Portrait of John Locke, by Sir Godfrey Kneller. Oil on canvas. 1697. 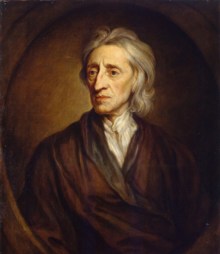 John Locke (1632 –1704) aiva an English philosopher ne physician. mu 1647, Locke aiva atuma ku prestigious Westminster School mu London. Locke atenda that human nature is characterised no chikonzero ne tolerance. asi a wo atenda ino humbimbindoga i bande (paradzana) e ndambarukuse harirwe. This page was last edited on 9 Ndira 2017, at 08:22.